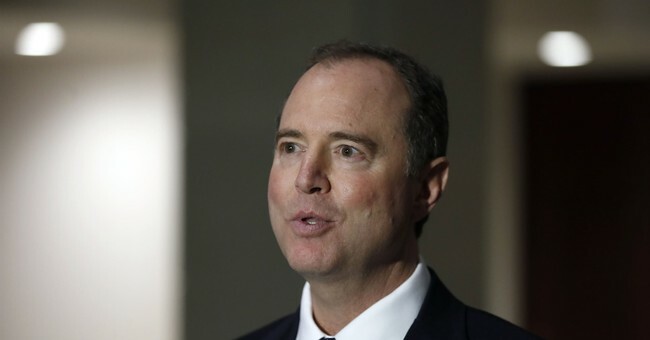 House Intelligence Committee Chairman Rep. Adam Schiff (D-CA) on Friday told CNN's Wolf Blitzer his committee is prepared to subpoena Special Counsel Robert Mueller and Attorney General William Barr over the contents of Mueller's report. If Barr withholds information Schiff and his buddies deem "significant." "If necessary, we will call Bob Mueller or others before our committee," Schiff explained. He also said he believes the House Judiciary Committee "called the Attorney General [William Barr]" before them. "At the end of the day, the (Justice) department is under a statutory obligation to provide our committee with any information regarding significant intelligence activities, including counterintelligence. And it's hard to imagine anything more significant than what Bob Mueller has been investigating," Schiff said. "This began as a counterintelligence investigation by the FBI. It began as the same in our committee, and we have a right to be informed and we will demand to be informed about it." Schiff isn't the only one who has talked about subpoenas. In fact, Senator Kamala Harris (D-CA) turned presidential candidate wants Barr to testify under oath about Mueller's findings. The text of the report has not been made public and Congress has yet to be briefed. And here we have Democrats already planning their response to the report's contents and what they think Mueller should have found. We already know Mueller has no further indictments, including against President Donald Trump, meaning no collusion took place. So prepare yourself, folks. We're bound to hear Dems demand subpoenas and further "investigations" into the so-called collusion that took place.